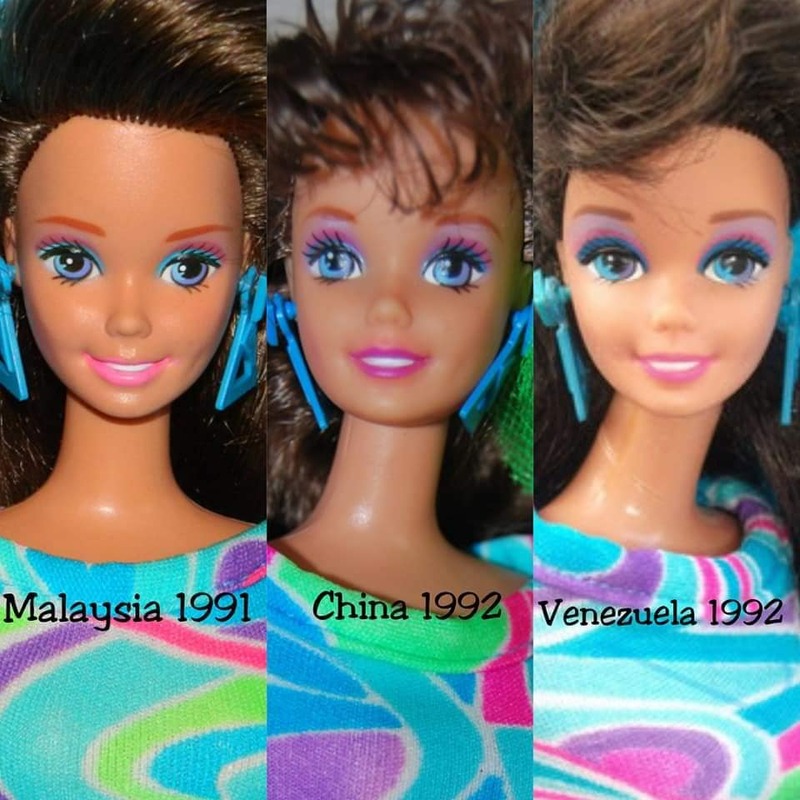 Do you know Tropical Barbie with the vibrant swimsuit from 1985? Yes, that’s right. She is already 33 years old but she’s not alone. She has many sisters worldwide and I don’t want to talk from the US version. She has a sister in Spain, one in Peru and one in Venezuela. Maybe there are even more versions I never heard of. I have four versions. 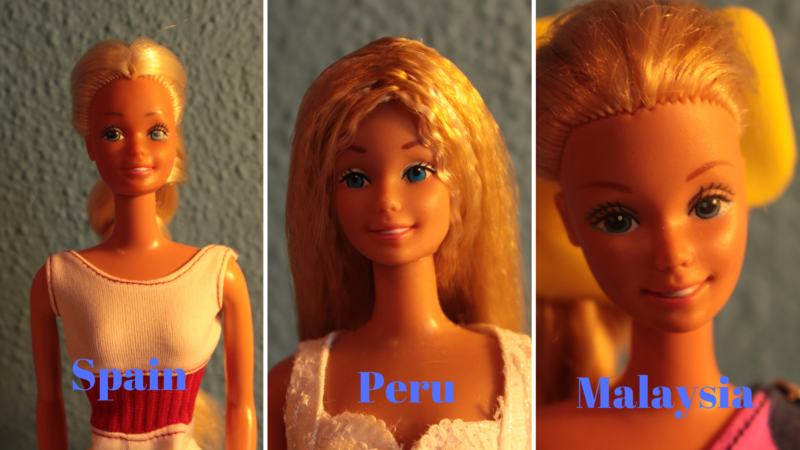 Two versions made for the US, one from Spain and one from Peru. 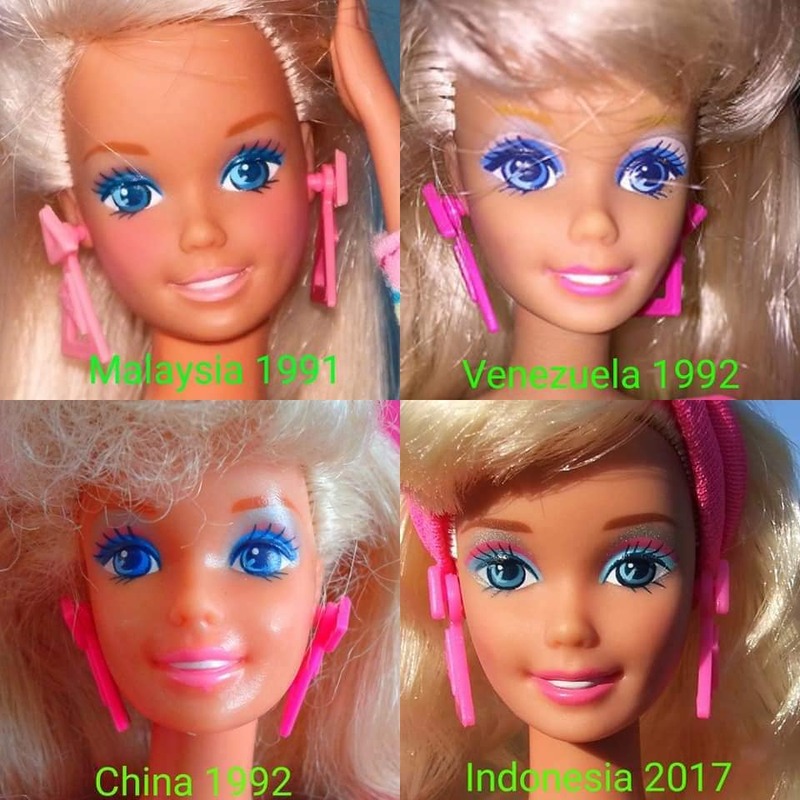 I haven’t found a version from Venezuela but there are pics online. Anyway today I want to share my versions of the dolls with you. The Spanish one came in May into my collection although she is hard to find. One of the US versions came recently. 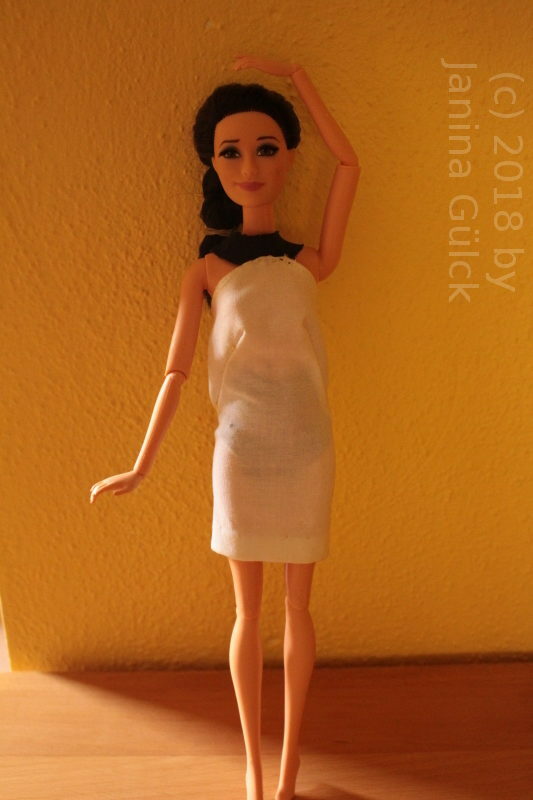 My first version came several years ago but her hair is very thin. 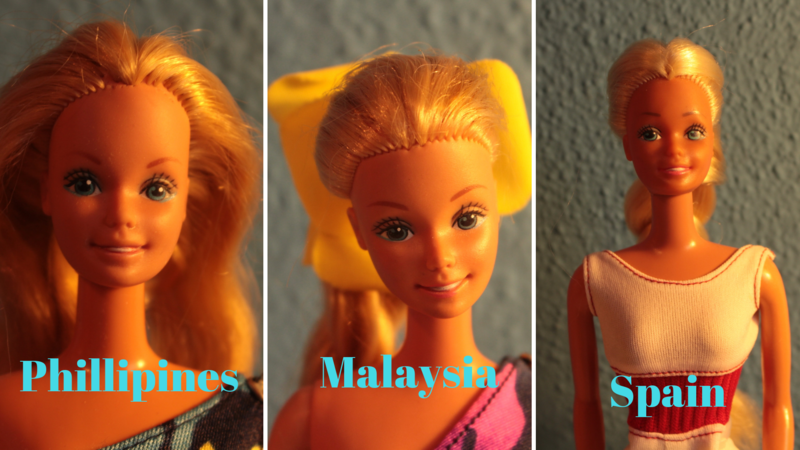 The versions from Malaysia and the Phillipines are the same but the make up is different. 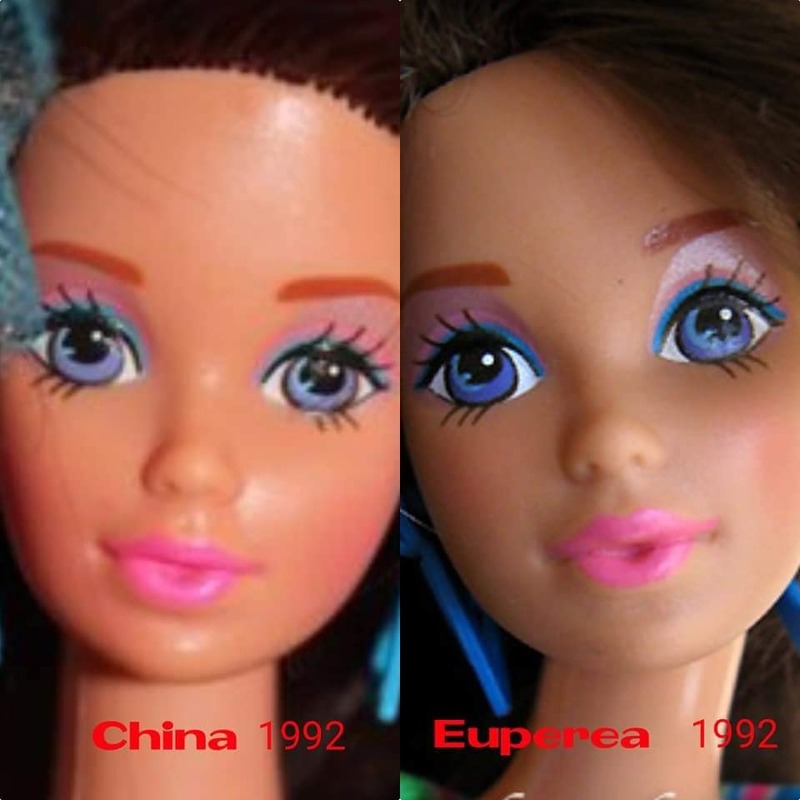 The blue is different and the amount of make up used for the dolls. 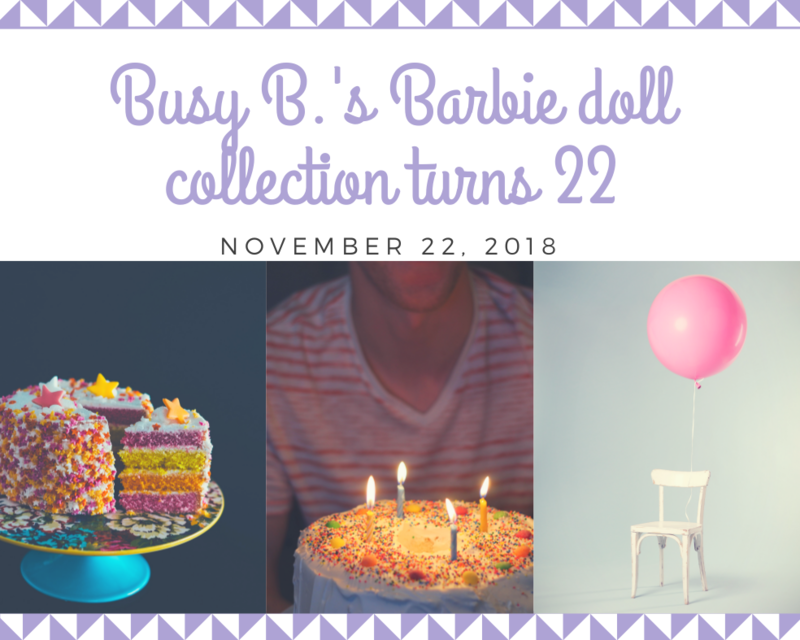 Let’s celebrate 22 years of Barbie collecting! Sometimes the time goes by really fast. That’s how it feels when I look back. 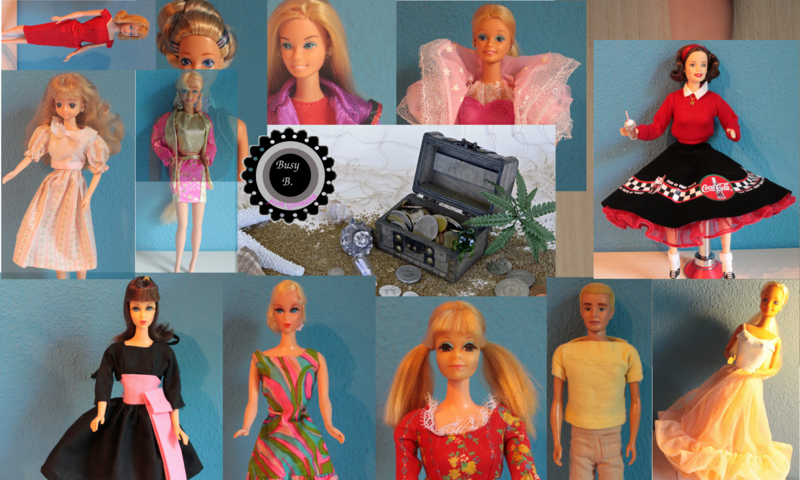 I really started 22 years ago with Collecting Collector Barbie as she was called in the last 10 years. When I started in late 1996 the whole collector thing was known as Barbie Collectibles. I still have some advertising and catalouges from back then. All of them were made very high-quality. I guess the input to produce the whole thing was very expensive and very time consuming back then. Not to forget to mention that it was a very expensive hobby since single dolls were very expensive and at first I had to convince my parents to drive with me to special toy stores where they were sold. You were never sure what to find. It was not like ordering online. It was still unknown to most people. I got my first book online ordered in 2003. Man, that was a thing… and the delivery time for English books to Germany was 4 weeks from amazon. 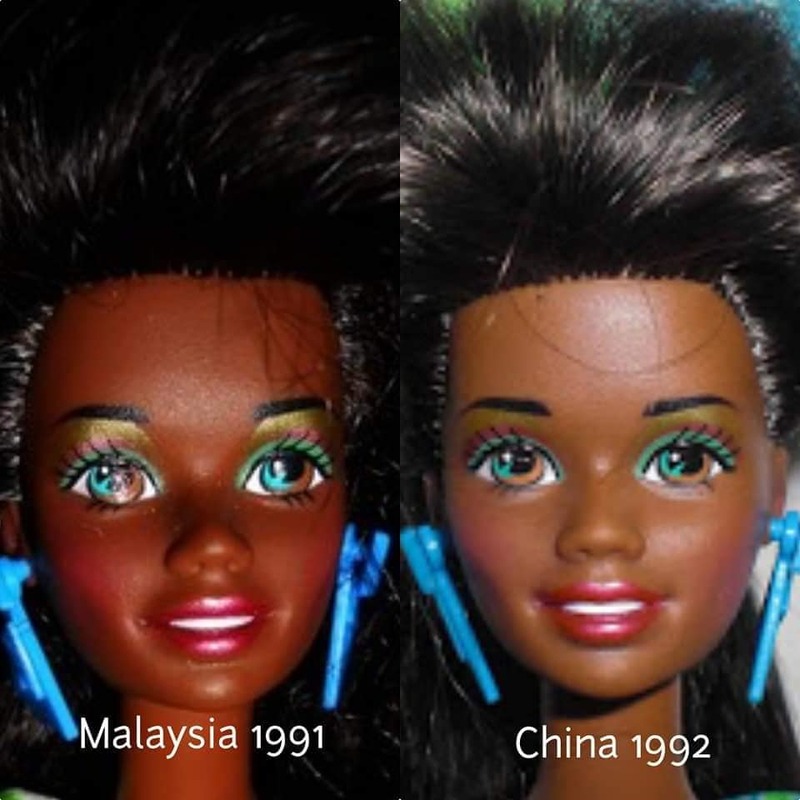 In the last decades I got to know many Barbie collectors. Some collected only for a short while. Other are long time collectors like me. What we all have in common is a topic to talk about. Although it became easier to order the dolls online you often still need the help of other collectors because there’s always you want and can’t buy immediately. 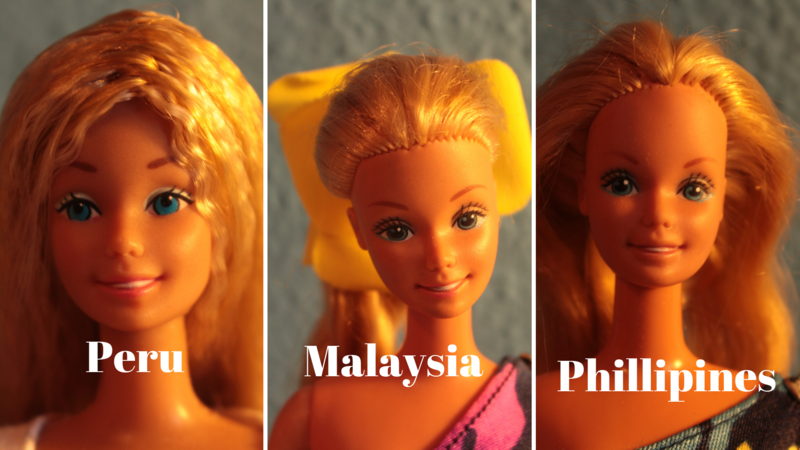 Have you ever asked yourself if the Totally Hair Barbie had the same make up in every production place around the world? If your answer is no, then you are right. There are many different make ups depending on the production place. Here are some of them as examples. Thanks to Christian Felipe Silva for the permission to use his pics. I know I’m a bit late with my blog post this week but I had so much to do … no time to write earlier. Nevertheless I have a new topic for you. I got my very first modern Raquelle last week. I think she’s the Dream house Raquelle. I don’t know it exactly. Although I’m not a collector of modern Barbie playline dolls I must say I like her. She’s nice. I admit I played around with her a bit. She helps me to generate new ideas for my blog and for my videos. Her hips are wider than the hips of most Barbies I own. So she hasn’t very much clothes to wear now. 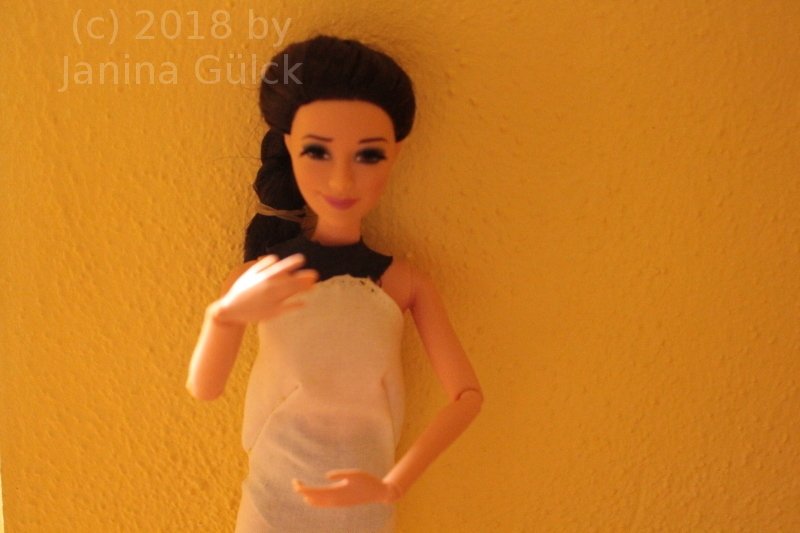 I put her in one of my handmade dresses, a copy of the MODERN Sunflower dress where you can adjust the opening. She’s looking good, isn’t she?